There’s nothing wrong with the chart for the Main Body of Inis Oírr. It’s just that as I was knitting it up I realized there were some shortcuts I could take. Here’s the chart I came up with. This isn’t something I recommend you use when you start out with Inis Oírr. But, once you get comfortable with the layout of the cables and texture, this can be a time saver. Also, the I’ve shaded a few columns to call attention to them. 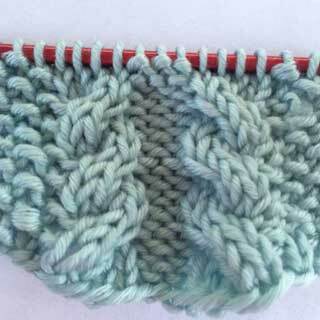 Many of the sections between two textured areas have 2 purl stitches. Once I realized this it became much easier. The section outlined in RED should be repeated 20 times. 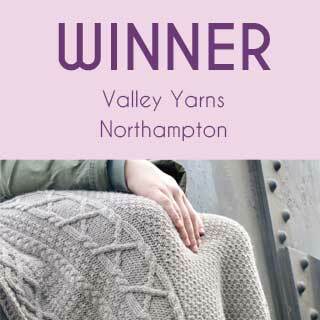 It’s Double Moss stitch. I also recommend placing stitch markers between sts 39 and 40 and sts 82 and 83 to mark the beginning and end of this section (yes it’s slightly outside the red borders). I found them helpful even when working WS rows because I knew when to stop blindly working “same as below row”. 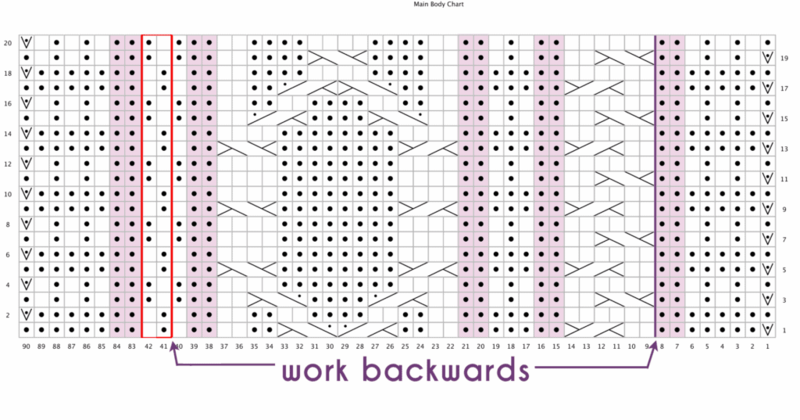 To use this chart on the RS, once you’re done working the Double Moss stitch outlined in RED, follow the area of the chart marked “work backwards” from left to right until you come back to the thick purple line. So, you’ll work a divider (2 purl sts), the big cable, a divider, three texture sts, a divider and the Smaller Cable. Once you’re done with the Smaller Cable, start again working stitch 83 (another divider). Note that each of these sections should be worked as we see them. This is important for the Smaller Cable. So, if we look at Row 1 of the Smaller Cable, you’ll p2 and then do a 2/2 RL. For WS rows, you’ll do the opposite. I think it will make sense when you’re working on it. Give this modified chart a try. It should be easier to print – just click on it to enlarge it first – and easier to tote around. And let me know what you think.